Fall has arrived!, and in New Jersey that means a profusion of glorious colors as the leaves turn from green to red and gold. 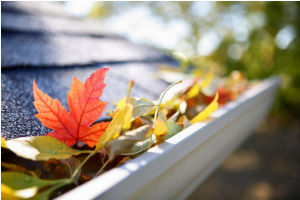 What’s slightly less intriguing for the homeowner, however, is the problems caused by those leaves when they drop into the drainage system. The backup they cause in the pipes can lead to a variety of sink plumbing problems, both in your kitchen and bathroom sink. 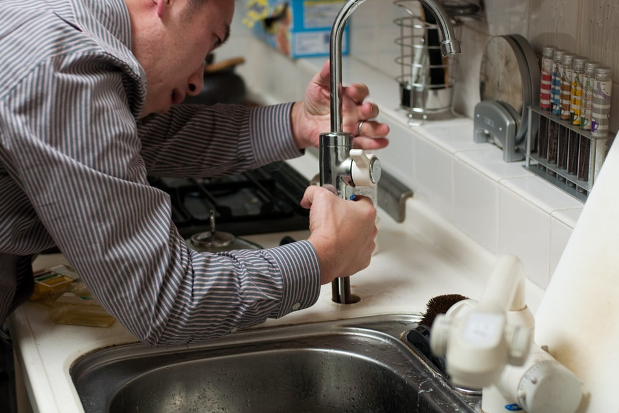 Here are our 3 top tips for preventing Fall plumbing problems. 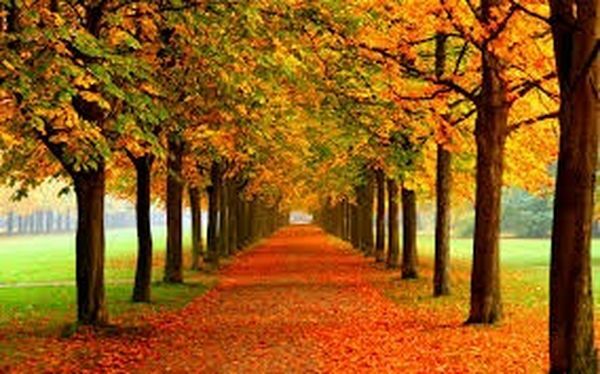 If you find leaves collecting in a particular area, there’s a good chance it’s an escape route for water from somewhere, and that could mean it enters the drainage system. A blockage in the drainage system can cause sink plumbing to clog, so rake up the leaves at least once a week and bag them immediately, to prevent them being distributed across the yard a second time. A variety of covers is available for keeping leaves and other debris out of your drains. Some covers are specifically engineered to catch fallen leaves, for the express purpose of preventing sink plumbing problems. Whether you fit a solid cover manufactured to fit your particular type of drain, or a DIY solution made from some wire mesh weighted down with rocks, as long as the material is dense enough to stop even the smallest leaves and seeds from entering the drain it will work. In instances where you need to do regular drain cleaning and inspections, a DIY cover might be easier to remove when necessary. Check your sink plumbing throughout the home, too, because once everything is frozen outdoors it can be challenging even for the best-equipped professionals to gain access. The Fall is also a good time to prepare generally for Winter, by checking the insulation on all exposed pipes, making sure your sump pump is working effectively and repairing any signs of damp in your basement. Remember, a basement wall that is just wet in summer will be freezing cold in winter, and could cause lasting damage to your home’s foundation or items stored in your basement. Cover your outdoor faucets with Styrofoam cones, available from your local Home Depot, or Lowe’s at around a dollar each. Fall is just about here in New Jersey and that means cooler temperatures are settling in. While you may still be able to crack the windows to achieve a comfortable indoor temperature, pretty soon it will be far too cold for that. It’s time to start thinking about having your furnace inspected and tuned-up so you don’t have to deal with an unexpected breakdown in the dead of winter. Why have a pro get your system ready for the season? Proper system maintenance can help lower utility costs and extend the lifespan of your system and its parts. Your system will work more efficiently and there’s much less of a chance for a breakdown when you need your equipment most. Fall is just around the corner here in the New Jersey area. What some people tend to forget to do for their homes for the fall is to check their plumbing before winter sets in. Safeguard Those Pipes! 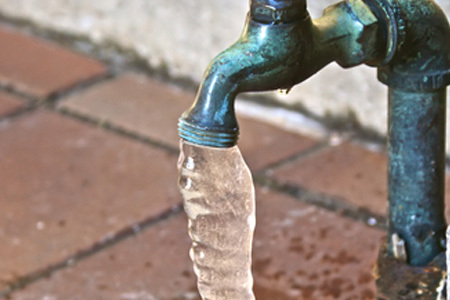 What’s the easiest way to prevent pipes from freezing or bursting? Why, vigilance, of course! Be sure that your pipes (and even the wall cavities in which they reside) are well insulated. If you’re not sure if your pipes are well insulated or not, give us a call, and we’ll inspect your pipes for you! Leaky Faucet? Fix it! 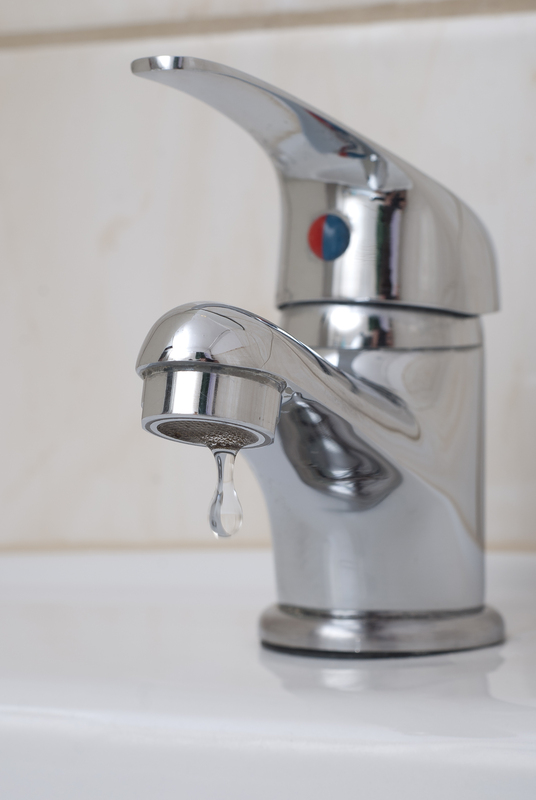 If there were an opportune time to fix any and all leaky faucets in your home, now is the time! You’ll want to check those pipes out before the temperatures dip into the low, bone-chilling, slightly-above-freezing level. Check out all faucets in the kitchen, bathroom(s), and any utility room locations. 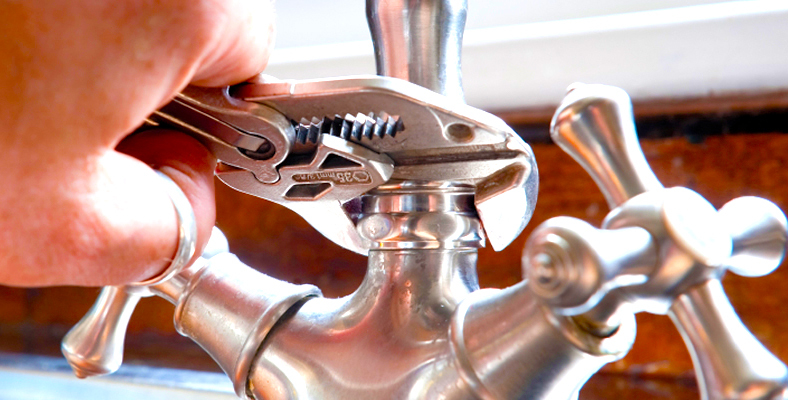 If they’re leaking, tap into your inner handyman to fix it! If you’re not able to or don’t know a family member who can help, we here at Green Apple Plumbing NJ would be more than happy to lend a hand or two! Drain Your Hot Water Heater: This is especially necessary if you happen to live in an area that uses hard water. When your hot water heater isn’t drained enough, extra amounts of sediments could build up in the tank, and rust could begin to develop in the tank. Fall is the PERFECT time to drain your hot water heater! If you find that your hot water heater is too old or is rusting, you should probably consider getting a new one. You don’t want to go throughout winter taking cold showers! Disconnect Outside Water Hoses: Remember when you used to go outside to fill up the kids’ pool or wash your prized car in the summertime, thanks to your trusty outdoor water hose? Well, now’s the time to disconnect your beloved water hose and put it away until springtime. If you leave your outdoor hose connected to the faucet, the water that’s still left in the hose can freeze and expand during the fall and winter months, which can cause your faucets and the connecting pipes inside your home to freeze and, ultimately, freeze. Not only will you be hindered from your future summer outdoor activities in the coming year, but you will also have to foot a hefty repair bill if you neglect to disconnect the hose! Your Outdoor Faucets Matter, Too! While you’re caring for your indoor faucets and piping, don’t forget about your outdoor faucets! Make sure they aren’t dripping or leaking; if they are and aren’t fixed, this could lead to some nasty accidents in the future, especially when the temperature goes below the freezing point. Close and Drain Shut-Off Valves Leading Outside: If your house is furnished with interior shut-off valves leading to any outside faucets, be sure to close them and drain the water from the outside lines. If the water remains in the lines and freezes, it could cause a good amount of damage and could cost you a pretty penny to repair. Inspect and Clean Sump Pump and Pit: Before you feel the autumnal chill in the air (or, at the very latest, see snowflakes! ), it would be very wise to inspect and clean your sump pump and the pit in which it’s situated. When your sump pump is exposed to extreme cold, it can freeze, which in turn prevents the pump from operating. Without a properly working sump pump, water can enter your basement and can easily cause flooding, especially when precipitation is high. Got Outdoor Pipes? Wrap ‘Em Up! Do you have any pipes that are not within an insulated area? Wrap them in heat tape before the weather grows cold so they will operate properly and be less prone to freezing or bursting. 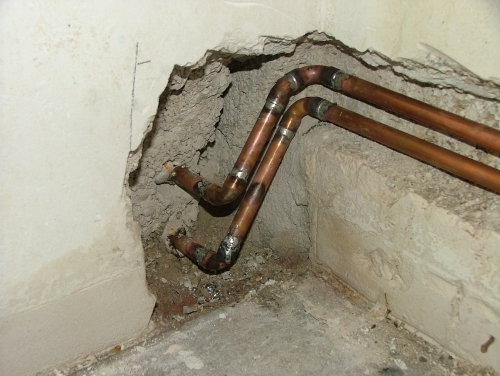 Uninsulated garages and beneath mobile homes are good examples of places where pipes can be without being insulated. 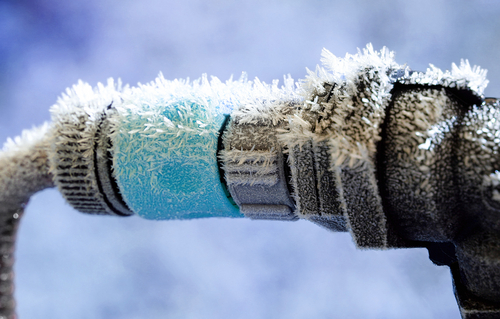 Colder temperatures are beginning to linger, and that freezing air can affect your water pipes. Pipes in homes and businesses can freeze and burst, even at temperatures in the lower 30s. Our experts at Green Apple Plumbing say there are many things that can be done to prevent this from happening. 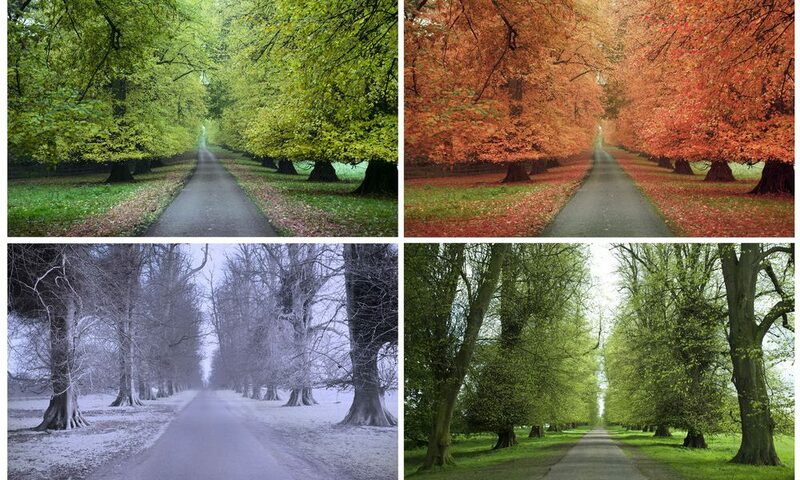 The temperature in your home should be kept above 50. Unplugging outside garden hoses, keeping cabinet doors cracked open and turning the faucet on to a drip are other tips that can help. 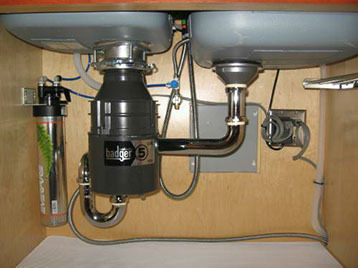 Opening cabinets beneath the sink allows warm air to flow to the pipes, and letting the faucet drip keeps water flowing. Pipe insulation can be bought at any hardware store. It’s usually about $3, and very easy to put on. 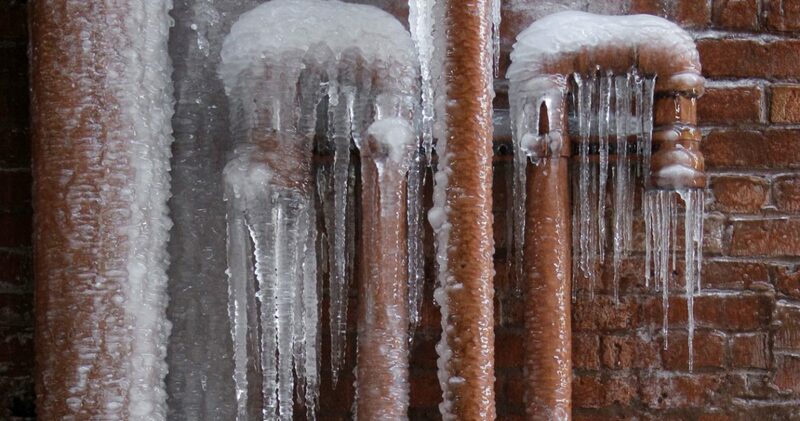 If you’re still worried about the pipes freezing and not sure what to do, you can always call us at (888) 315-5564. As you ready your house for the colder months ahead, don’t forget about your water system. When water freezes, it expands. So if the temperature of your pipes drops below 32 degrees, even for a short period, you run the risk of a pipe fracture or worse. Take the following precautions now to avoid a major headache later. • You turn on the faucet but nothing comes out. Look in the most likely places and use the techniques listed above to gently thaw the area. Whatever you do, do not use a blowtorch to warm up a frozen pipe. Many homes have been set on fire this way. • The water is turned off but you hear rushing water running anyway. This could be a sign that you have a leak somewhere. You should turn off the water lines immediately and investigate.